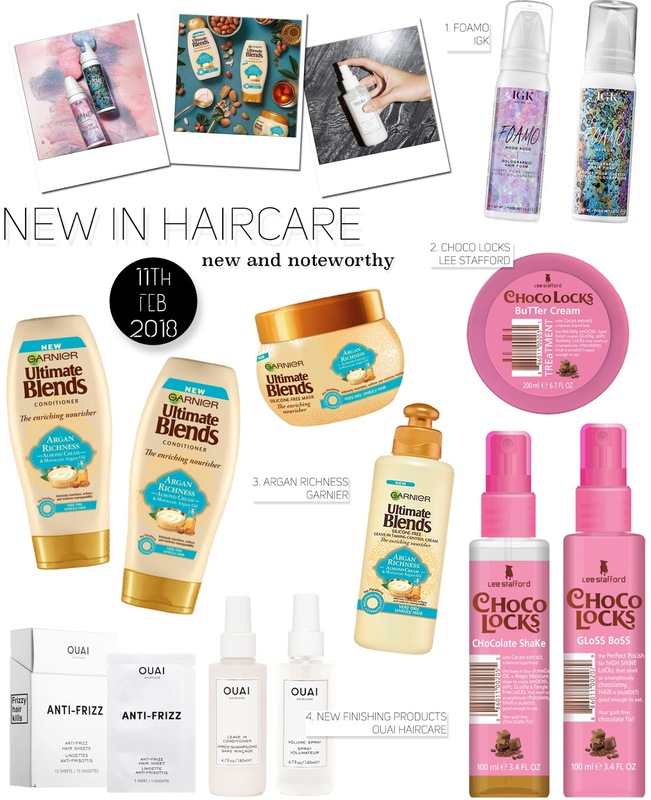 New in Beauty 11th Feb 2018 | Almost Chic. Who likes new things? Yeah me too. So I'm trying out something new on the blog and its about new things. Are you excited yet? Just me? Ok, cool. From now I'm going to do my absolute best detective work and keep my ear to the ground to make sure I know about all (well, most) of the brand new and very best beauty launches you need to know about. I'll do the leg work so you don't have to. And if you're lazy, like me, you'll hopefully love this idea. I've always been a bit of a last-to-the-party kind of gal but recently I've been trying to stay in the know within the beauty-sphere. The result? I've been hearing about a lot of new product drops that I'm very excited about. I've rounded up the creme de la creme this week. Me and my bank balance are going to have to have words because I need all of it. Every last thing. This Works may be most widely raved about for their range of sleep sprays and candles but when I spotted this new addition to their, already fantastic, skincare repertoire on Sartorial Scot's Insta stories I was very excited. The new Evening Detox range marks the brand's first foray into anti-pollution skincare and consists of three core products at the moment. REN's latest launch has landed and it's a goodie. I'm a big REN fan (as you may have gathered from my previous reviews of & Now To Sleep and Perfect Canvas) so I was delighted when their new product Ready Steady Glow Daily AHA Tonic was launched a few weeks ago. I foresee this resurfacing, exfoliating tonic being a strong competitor for Pixi's cult product - Glow Tonic! It's supposed to brighten your skin whilst being gentle enough for every day use. I for one can't wait to try it - especially with the satisfying push down well-pump. You know that's going to be satisfying to use. Another completely new range but this time it's from Rodial. I've been trying to inject a bit more Vitamin C into my skincare routine since about this time last year as it seemed to be the talk of the beauty scene in 2017. It's a key anti-aging ingredient which supposedly brightens and smooths the skin as well as having great anti-oxidant properties. However, it's one of those ingredients that comes in several different forms and as a result can be a bit confusing. Hence, it's great to see some brands like Rodial doing the leg work for us by launching products specifically aimed at those who, like me, are looking to pimp their skincare routine with some Vitamin C.
Hallelujah. 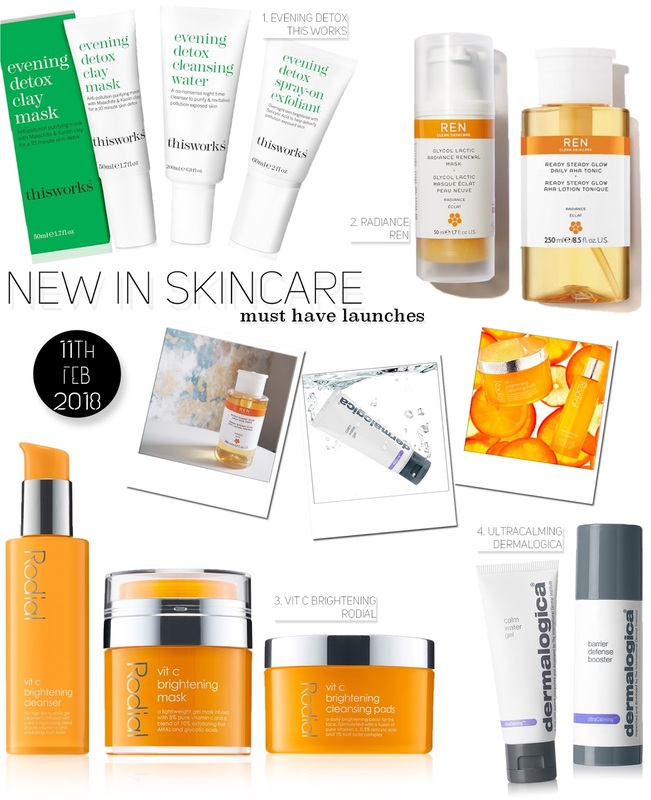 One of my favourite skincare ranges, UltraCalming by Dermalogica, has birthed a couple of newbies. If you haven't seen me rave about this range and the wonders it does for my eczema prone skin check out this post. The launch consists of Calm Water Gel moisturiser to hydrate dry, sensitive skin and Barrier Defence Booster which is the first oil based product in the range. If you pay attention even slightly to the world of beauty and make up you'll have heard of, or tried, NARS cult foundation - Sheer Glow. A lot of high profile beauty enthusiasts, from bloggers to editors, have sung it's praises. 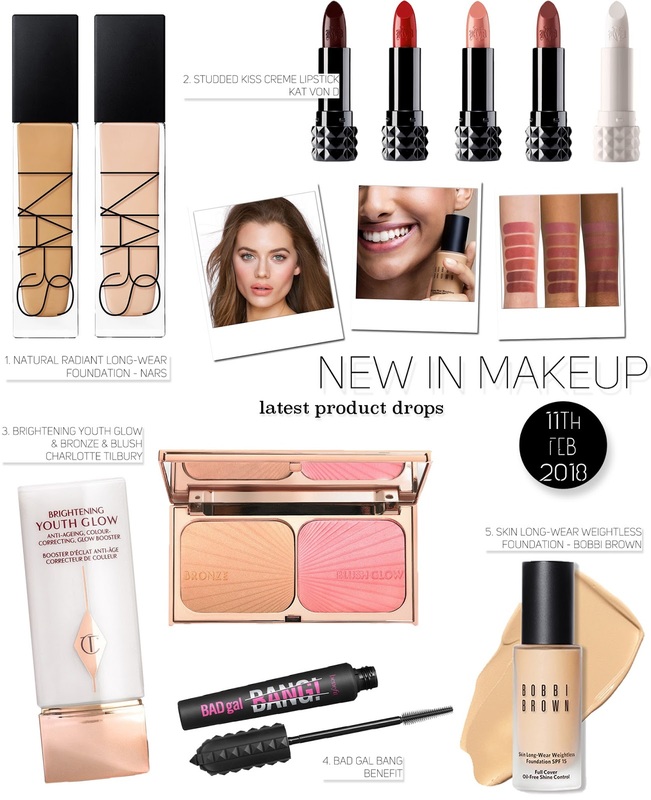 It is no surprise, therefore, that there has been a lot of hype and intrigue around their new long wear foundation Natural Radiant Longwear Foundation. Perhaps more exciting than the launch of this specific product from IGK Hair is the fact that the whole brand is new to the UK, having only just launched in Space NK. Three words sum up this exciting new export from across the pond - very, very cool. 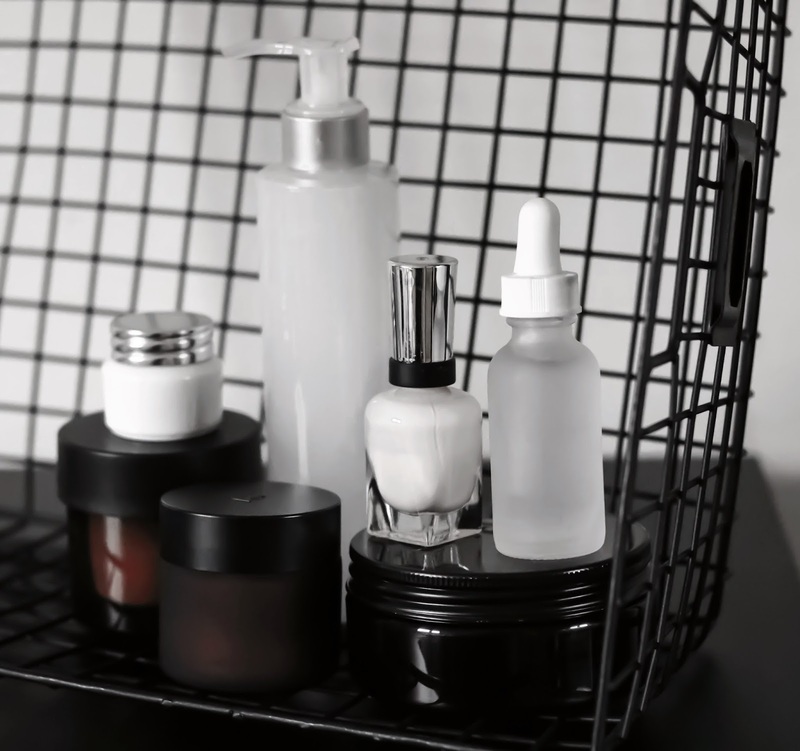 With an exciting variety of products, from several different shampoo & conditioner options to more innovative products like dry shampoo blotting tissues, plus their on point branding - the brand is sure to be an immediate success for Space NK. For those of you who love good haircare but don't love remortgaging your house to pay for it, we have a few newbies in the drugstore. Lee Stafford is notorious for fun ranges in glorious scents and his newest is no exception. Choco Locks is just heavenly, especially if you're chocolate lover like me. I've actually tried a couple of products from this range and can confirm that they smell good enough to eat (but don't though). I probably don't need to tell you that Garnier Ultimate Blends are some of the best value for money haircare products out there. They already have a pretty extensive roster of ranges to choose from but they've just a dropped a new one. I first spotted the Argan Richness range over on Estée Lalonde's blog (read her post here) and if the queen of internet beauty endorses it - I'm sold. I do feel like Garnier are slightly late to the Argan oil party though - most brands were over this trend in like 2016, right? Never the less, it sounds glorious. *Boots have an introductory offer running on these products until 14th of Feb 2018 if you want even more of a bargain. Check out any of the links above to shop them at their lower price. And last but not least we're back in the land of high-end beauty. OUAI Haircare have launched several new finishing products recently and I'm excited about all of them. Because OUAI can do no wrong in my eyes. First on the list is their revamped Smooth Spray. It's been given a new name and with the name have come a few new tricks. It is now a Leave in Conditioner packed with extra moisturising capabilities and improved heat protection. Also in the line up is their new Volume Spray, a weightless volume builder for all hair types. Wowza. Turns out I have a lot to say about these new beauty launches. Maybe next week I'll pop in a few less products so that it doesn't take you a millennium to read. Let me know which of these products you'd like me to try and review. Or if you've already tried any of them I'd love to hear whether you rated them or hated them. Until next time!